Is your screensaver still set to Bubbles because you found it funny when you first installed Windows? It’s time for a change: a change to something useful, UsefulSaver. UsefulSaver is not actually as useful as it might seem, but does help you monitor your system stats. UsefulSaver lets you monitor CPU and memory usage, as well as disk use and activity, while your screen is resting its eyes. It shows core-by-core usage, as well as the top CPU-using applications and current disk capacity and usage. 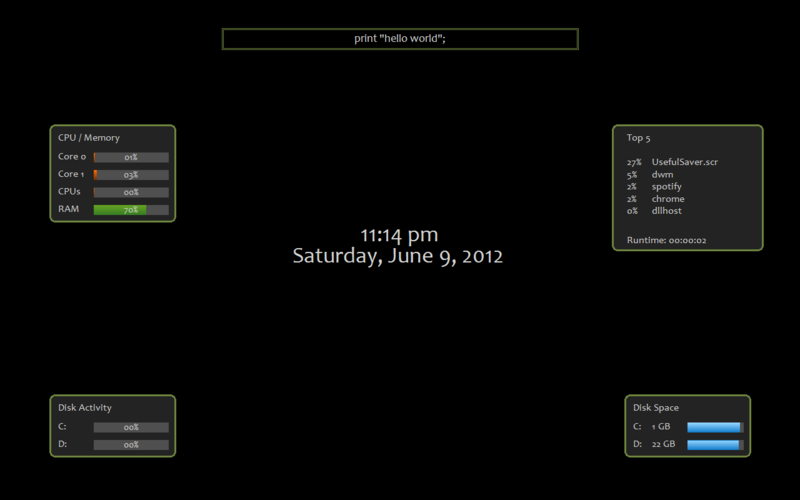 UsefulSaver is a nice little screensaver, and it’s highly customizable to boot. If you work at a specific company, for instance, you can make the top bar display your company title, or perhaps the computer ID number. It’s really quite useful, even though it really only displays a few stats. Note: by default, the message at the top of the screen is an assortment of Bible quotes. You can change this by opening Screen Saver Settings, opening UsefulSaver settings, going to Custom Text, and opening the custom text file. Fonts are awesome! However, they are also a pain to manage in versions of Windows earlier than Windows 7. 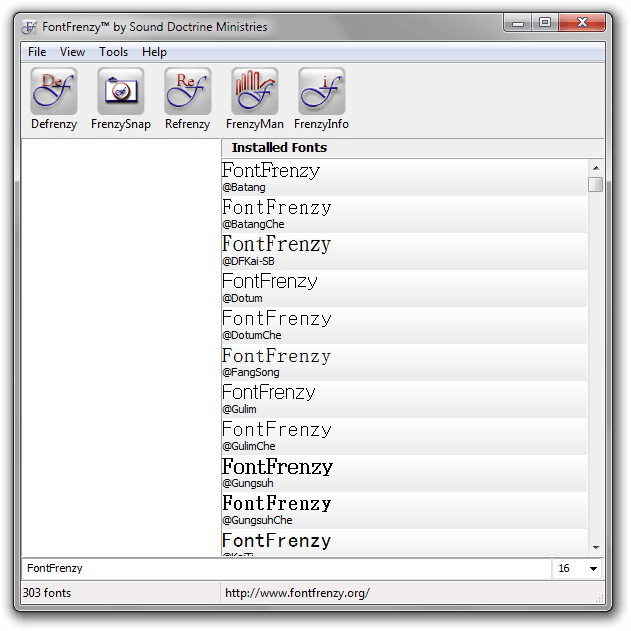 If you’re still sporting Vista or XP and want to clean up your font collection, FontFrenzy can remove all non-default fonts, make backups of fonts, and overall manage fonts. If you want to back up your fonts, just hit the FrenzySnap button. To restore a previous backup, you can just hit Refrenzy; backups are stored in FontFrenzy’s Program Files folder under FrenzySnaps. If you’ve backed up and decided to nuke all 3rd party fonts, just hit Defrenzy. Like magic, your billions of useless fonts are gone and you’re left with only the cream of the crop! 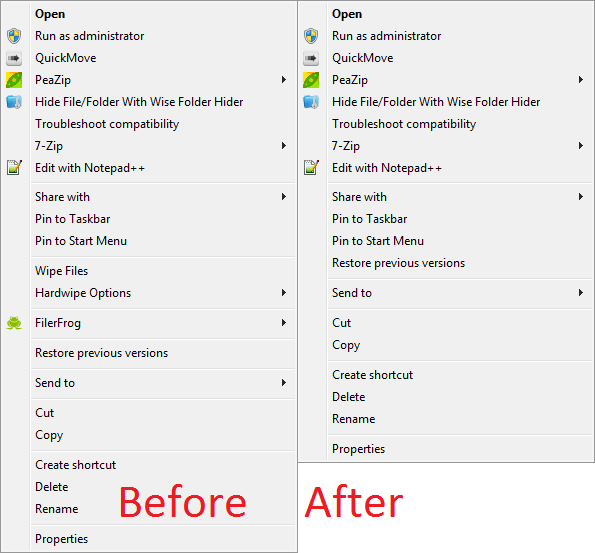 Windows 7 users: to manage your fonts, go to Control Panel and search for Fonts. From there, you can restore the default fonts under Font settings. Please note, that, because Defrenzy removes all fonts that were not included in Windows XP, it can and will remove Windows Vista/7 fonts if you don’t use a Windows Vista/7 font pack. I made a backup of my fonts, which I believe are only the default Windows 7 fonts, that you can download here . Place it in C:\Program Files (x86)\FontFrenzy\FrenzySnaps (or C:\Program Files\FontFrenzy\FrenzySnaps on 32-bit Windows). 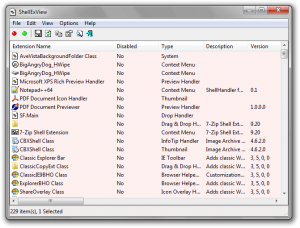 The Windows Explorer context menu is often used when dealing with files, and as such, programs that deal with files love to stick themselves into it. There’s an issue with this: the menu gets cluttered extremely fast and is left useless and slow. There are various programs to help you clean up this menu, however, and ShellExView is one that positively excels at this task. As you can see, it did quite a good job. The menu definitely opens quicker and takes up a lot less space, and leaves me with easy choices about which programs to uninstall. 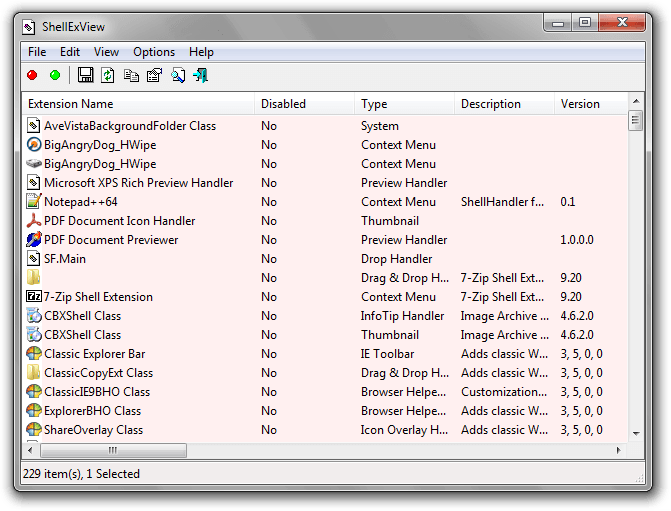 While ShellExView could be perhaps easier to use, it’s second to none in removing annoying entries with ease.